From the New York Times bestselling author of Dear Martin comes this illuminating exploration of old friendships, new crushes, and the path to self-discovery. 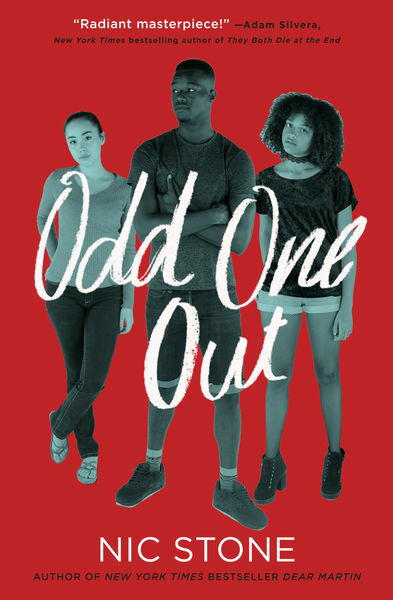 Sure to please fans of Becky Albertalli, Angie Thomas, and Jason Reynolds. Courtney Cooper and Jupiter Sanchez have been best friends and neighbors since they were seven years old. And despite Courtney's best efforts to suppress it, he can't help being hopelessly in love with Jupe. But a relationship with the girl next door isn't in the cards because Jupiter has been out of the closet for almost as long as she's known Courtney. Then Rae Chin moves to town, and Courtney thinks he's finally found a girl he could fall for who isn't Jupiter. The only problem: Jupiter is falling for Rae, too. From the New York Times bestselling author of Dear Martin, Nic Stone embraces the journey of first loves and finding yourself. RemusLupin (Grade: B–) This novel had a fresh voice and a solid cast of characters. However the tri-split narration did not work for me, as it felt like I only got 1/3 of the ending. I’m also not sure I liked all the messages the book sent. I’m all for more bisexual and lgbt representation, especially for communities of color, but I was hoping for more from this book.